In June 2017, the Commander-in-Chief of the United States suggested that the FBI should not investigate a historic cyberattack by an adversary on the United States. The investigation Trump was obstructing was not just of his own conduct, but also that of Russia. That revelation puts two other events in dramatically different light. First, recall that when Congress was considering bills to ensure election integrity last year, Trump pre-empted the effort with an Executive Order imposing a two step review, after the fact, to see if foreign adversaries had attempted to interfere in the election. First, ODNI does a report on the election, then he delivers it to other Executive Branch Officials. Then DHS Secretary and the Attorney General deliver a report based on that describing whether the effort to interfere had had a material effect. That report, too, just gets delivered to Executive Branch officials. 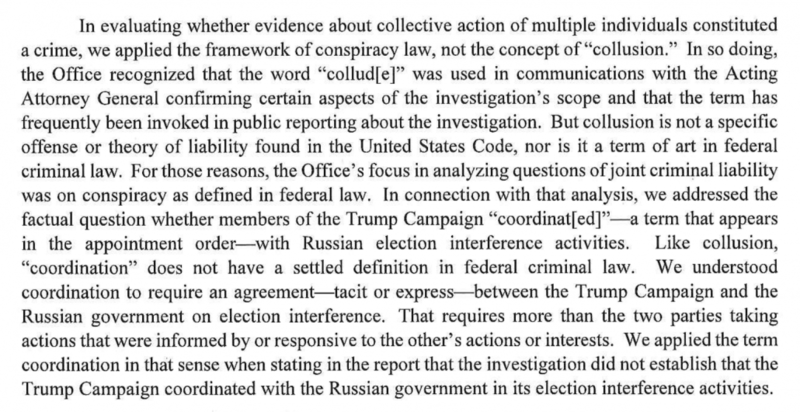 Predictably, when the deadlines for these reports came due after the mid-term elections last year, the Trump Administration balked at sharing all this reporting with the Senate Intelligence Committee. Then there’s this NYT report revealing that the Mick Mulvaney told DHS Secretary Kirstjen Nielsen not to involve the Commander-in-Chief in any effort to keep this country’s elections safe, which (the report implicitly suggests) made it far more difficult for Nielsen to make protecting elections a priority. A second senior administration official said Ms. Nielsen began pushing after the November midterms for the governmentwide efforts to protect the 2020 elections, but only after it became increasingly clear that she had fallen out of Mr. Trump’s favor for not taking a harder line against immigration. That official said Ms. Nielsen wanted to make election security a top priority at meetings of Mr. Trump’s principal national security aides, who resisted making it a focus of the discussions given that the 2020 vote was, at the time, nearly two years away. Trump’s refusal to protect elections accompanies a de-emphasis — one enforced by John Bolton — on cybersecurity generally. This is, quite literally, a case where the Commander-in-Chief is refusing to take the action necessary to protect the country from being attacked in the same way were most recently were attacked. Update: Here’s a second instance of a redacted grand jury discussion.